From Pennsylvania comes the latest release from the Americana/Folk-Rock of Mule Dixon. The new album "Pillow: American-Made" starts off with the him and just an acoustic guitar as he sings about his 'axe to grind' on "American-Blowback Baby" as the other members of his band join in. His sound crosses the boundaries of folk and country, especially on "No Matter The Consequence" and on the storied lyrics of "Natdia (The Ballad Of Tonto & Jesus)." The slow country sway of "Another Country Roadside" is highlighted by the duet between Dixon and Kali Rea. His Americana roots show on "June Blossom Valley" as he lowers the tone of his voice to capture the mood of the song. The album finishes up with the gentle acoustics of the "Evening Song" as he sounds like a young Tom Waits. 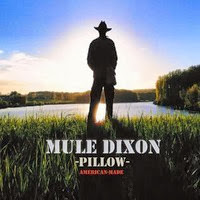 To find out more about Mule Dixon and his latest album "Pillow: American-Made," please visit his Facebook page at www.facebook.com/pages/Mule-Dixon/119400151464377. Also new on the Americana horizon is the new three-song EP from Western Skies Motel. Their new album, "Reflections" was released earlier this month and features a very quiet, ambient acoustic sound to the opening title track. The flow of their music relaxes as it explores during the seven-minute "Here And There" and in the closer "Homesick." There sound may not grab your attention, but that's not the point as you are swept away by what is presented in those fourteen minutes. 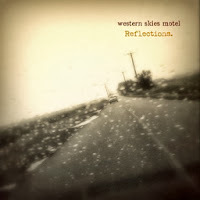 To find out more about Western Skies Motel, check out westernskiesmotel.bandcamp.com/.